Foliage Anthuriums are mostly found at specialty greenhouses or through online nurseries. To grow them, it’s best to replicate conditions found in tropical zones. Keep them in very high humidity and warmth, and provide a climbing support if necessary. Anthurium plants require bright, indirect light. Do not expose to direct sunlight, except in the winter. Keep compost moist at all times, but not drenched. Th e flowering varieties suffer if the temperatures drop below 60º Fahrenheit. The foliage types prefer it even warmer. Use rich, loose potting soil that can keep the moisture intact. Foliage Anthurium throw off aerial roots that can be pushed back into the soil. 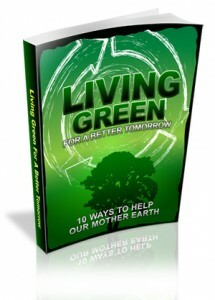 Use liquid fertilizer throughout the growing period or pellets in the spring. For propagation, divide the plant or take cuttings from the tip or stem. Overgrown exposed aerial roots of older foliage plants can be cut off at the soil level and potted into new pots. Repot annually with high-quality potting soil. However, Anthurium plants don’t suffer from being slightly under-potted. Many of the most magnificent Anthurium varieties are rare outside of greenhouses and botanical gardens. Anthurium Andreanum carries heart-shaped leaves up to 1 feet in length, with flowers available in red, white, pink and variegated, distinguished by a straight flower spike. 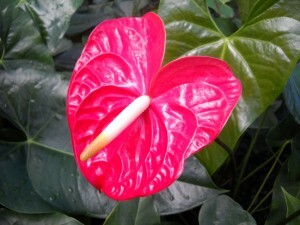 Anthurium Scherzerianum is the most forgiving of Anthuriums and the most common in garden centers. It features arrow-shaped leaves and a curling orange flower spike. Anthurium Crystallinum has deep green, velvety leaves with pronounced white ribs that can grow up to 2 feet across. Anthurium Faustinomirandae is an enormous greenhouse plant with cardboard-stiff leaves up to 5 feet long. Be it flowering or foliage, Anthurium is a collector’s delight fascinating you with its varied shapes and striking hues.